KFD Pea Protein Isolate is primarily an alternative to people who avoids animal proteins or want to add a vegetable protein. Vegetable proteins are known for their very specific taste and texture, which means that many consumers avoid them. MyVegies knows all too well how important it is to ensure your daily protein requirements are met. Vegetarians, vegans and people who prefer to keep their meat consumption to a bare minimum need to monitor their protein intake. Especially these people should make sure they consume enough protein to support the bodily functions it is responsible for, such as the regeneration and development of muscle tissue, the proper functioning of the immune system, and other crucial roles protein plays in the human body. 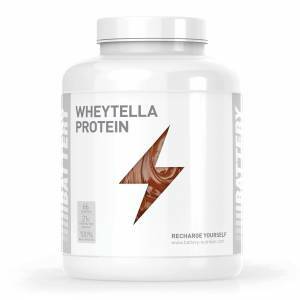 With an outstanding nutritional value, provided in amazing natural flavours, and produced exclusively with vegetable protein sources, 100% Vegetable Protein is the perfect protein supplement for vegetarians and vegans. 100% Vegetable Protein is your door to a healthier lifestyle.